Seller will give you a gift certificate in the amount of 47,985 RUB for a positive review of the product purchased. 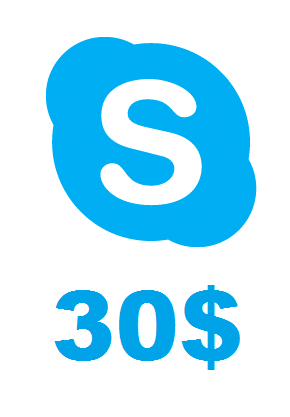 replenish Skype in the amount of 30 Usd. 3. We transfer the paid amount to you, 30 USD. Seller will give you a gift certificate in the amount of 47,985 RUB for a positive review of the product purchased..